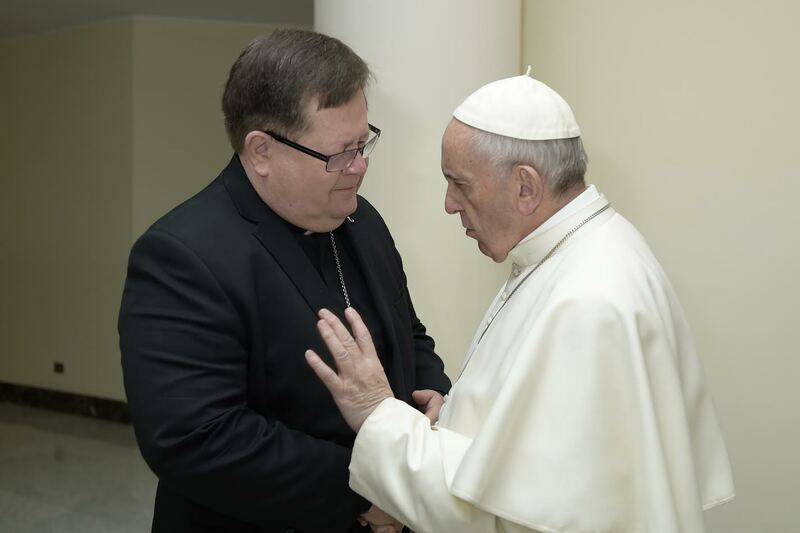 “What hour is it in your immense territory?” — “It’s the hour to evangelize!” It’s what Cardinal Lacroix — chosen by Pope Francis to represent him at the celebrations of the 200th anniversary of the evangelization of the North and West of Canada – said during his homily on Sunday, July 15, 2018, at Saint Boniface Cathedral in Manitoba, reported Il Sismografo. At the end of the Eucharistic celebration, Cardinal Lacroix addressed the people about his meeting and “fraternal conversion with Pope Francis,” “a week ago,” in Rome. “To the native peoples and to all the Canadian population, the Holy Father wishes to express, by my voice and my presence among you, his closeness and concern about the course of the continued process of healing, of reconciliation and search for harmony,” said the Cardinal. “Contrary to what has been said in public spaces these last months, the Pope isn’t disinterested in the measures currently taken to reach — the most efficiently and rapidly way possible — consensual social solutions and a harmonization of relations between the native peoples and the Catholic Church. On the contrary, let me assure you! The Holy Father exhorts us to persevere with wisdom and generosity, all together, on this delicate and necessary way to the healing of hearts and lives, so that peace and joy can reign in the communities,” stressed the Cardinal. In the course of his homily, the Cardinal invited the faithful to “dare” to “go on mission,” namely, “to open their spirit and their heart to the needs of those with whom we live and work, our brothers and sisters in humanity, expecting signs of reconciliation, of goodness, of justice and of love.” “Jesus entrusted this great mission to all our Church, not only the Pope, the Bishops and the priests. We are all responsible for implementing the missionary mandate,” he continued. Christ “calls us to love the world for which He came and which He saved. He invites us to give a hand, to serve our neighbor as He did, to put on an apron and even to soil our hands,” he added. “We are gathered here today because men and women responded in great numbers to Christ’s call because they went beyond the borders of their homes and their comfort zones to take the Good News of the Gospel to the farthest peripheries of this immense territory,” recalled the Cardinal. It’s here, “at Saint Boniface, that the Church-Mother of all the West and of the North of Canada was born, grew and pursued her missionary impetus, thanks to women and men touched by this encounter, this friendship with Christ,” he continued. “The Lord needs laborers in these fields because the harvest is abundant,” stressed the Cardinal.